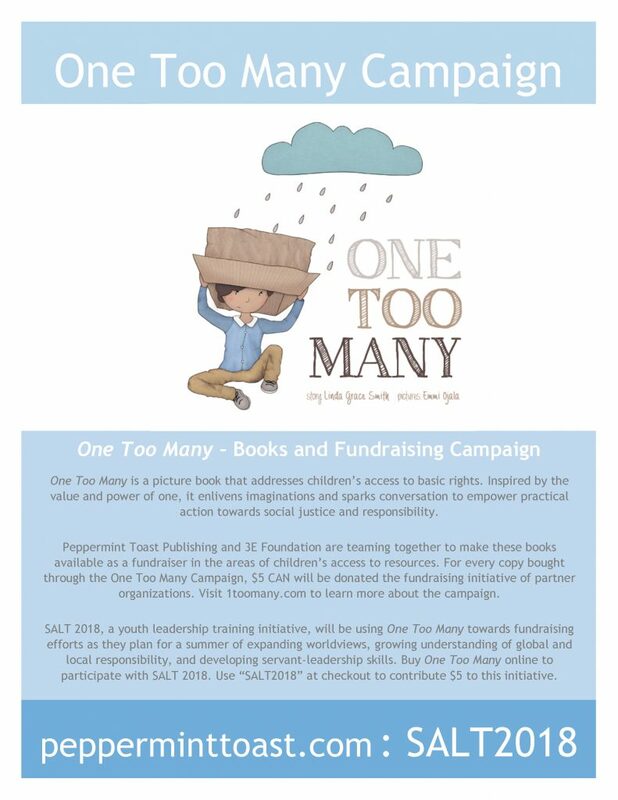 We are so thrilled to announce our partnership with Peppermint Toast Publishing through their book One Too Many. One Too Many is a picture book that addresses children’s access to basic rights. Inspired by the value and power of one, it enlivens imaginations and sparks conversation to empower practical action towards social justice and responsibility. When you purchase One Too Many online, using the coupon code SALT2018 at the checkout, you can spread this important message and support SALT 2018 at the same time!